WALB News 10 has learned from family members a second person in a weekend shooting in Cordele has died. According to family, Sheena Jones, 33, has died after Saturday's shooting. Shawna Ware, 31, died at the scene. 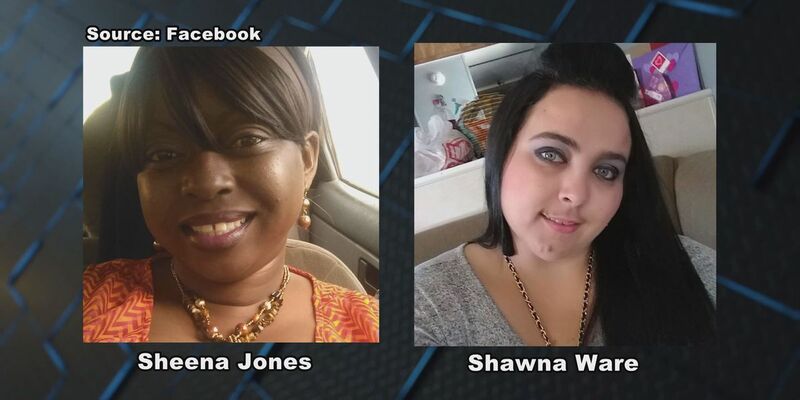 On Saturday, Ware was killed and Jones later died at a Macon hospital after a shooting in the 400 block of East 21st Avenue. Tuesday's early morning shooting marks the third homicide in Cordele since Saturday. GBI agents and Cordele Police were on the scene for several hours. It happened on South 12th Street near 19th Avenue West. The shooter or shooters opened fire on a home. It's unclear if the victim was shot inside or outside the home, but they later died at Crisp Regional Hospital. Evidence markers were placed over 30 shell casings left at the scene. Neighbors said it was a troubling sight. "It's just straight out sad. It's pitiful. Real bad. You know, it's pitiful. It is. Very pitiful, it's sad," said Ricco Rogers, a Cordele resident. And one Cordele resident is urging his neighbors to talk to law enforcement if they see or hear something. "I think it is all gang and drug related, you know. And if we get to slow the drugs down, the gangs, I think a lot of it will stop," said Jimmy Sanders, a Cordele resident. "People dying around here so young, so much killing, and we need to slow it down and stop it, if any way possible,"
If you know anything about Tuesday's early morning homicide you're asked to call Cordele Police at 229-276-2921.